« When Do We Get a Haircut This Year? 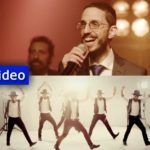 Simche Friedman, a rising star in the world of Jewish music and a scion of the Friedman family singing dynasty, has teamed up with Israeli jazz artist Daniel Zamir to release a new upbeat single, coinciding with the ending of Sefirah. Bekarov! pulsates and throbs with irresistible, high-megawatt energy that is guaranteed to put a smile on your face. 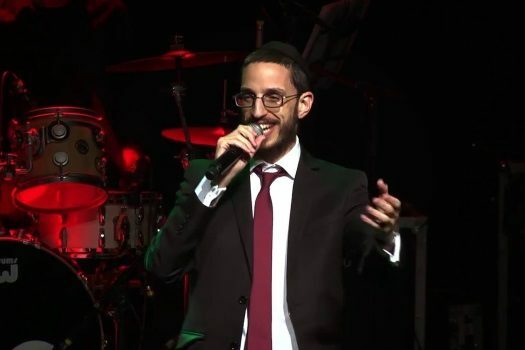 Simche Friedman has already released three popular singles: Shluchim Medley, Hakhel, and Chasof. Now he proudly presents a new single from his first album: Bekarov! The song was composed by world-known Jazz and saxophone artist Daniel Zamir, artistic director of ‘Mizmor’, a religious Music Academy. Bekarov! stresses the need to make time for Prayer and bonding with G-d. The words of the song are based on Kaddish and infuse the ancient Nusach with a contemporary and lively interpretation. 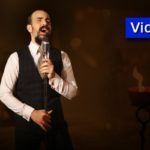 Produced by professional musician Yoni Eliyav, the song sparkles with the talent of some of the top names in the Israeli electronic music industry: Tal Matmor, Amit Harel, and Ron Tichon. Simche’s unique voice and singing, accompanied by Daniel’s masterful sax, give us a vibrant melody with a stirring electronic beat. 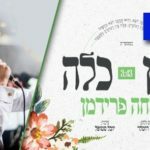 The song represents a fresh new synthesis in Jewish-Chasidic music, a high-quality blend that whets the appetite for more.